As of July 1st, the final phase of the nationwide microbead ban will take effect, ending the sale of personal care products containing plastic microbeads by retailers. Microbeads are tiny plastic particles used as an abrasive in many personal care products, such as facial scrubs, soaps, and shampoos. 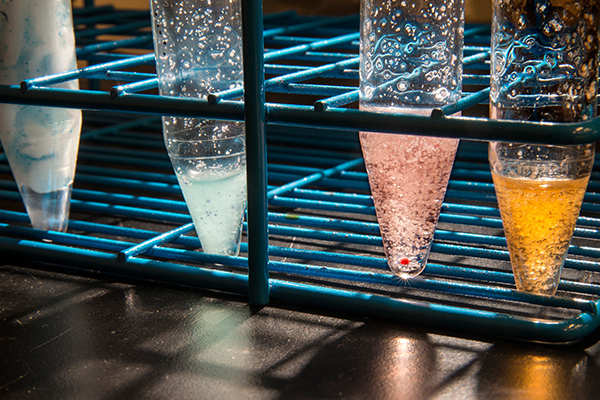 Test tubs containing personal care products with plastic microbeads. Photo by Lloyd DeGrane. When we use products containing microbeads, the tiny plastic pieces don’t dissolve. Instead, they are rinsed down the drain. Because of their small size and buoyancy, microbeads escape treatment by sewage plants and end up in our rivers and lakes. When research released in 2013 showed the widespread presence of plastic microbeads in the waters of all five Great Lakes, tens of thousands of people around the Great Lakes region spoke out, calling for change. With many readily-available natural alternatives, phasing out the use of plastic microbeads in personal care products was a common sense step. 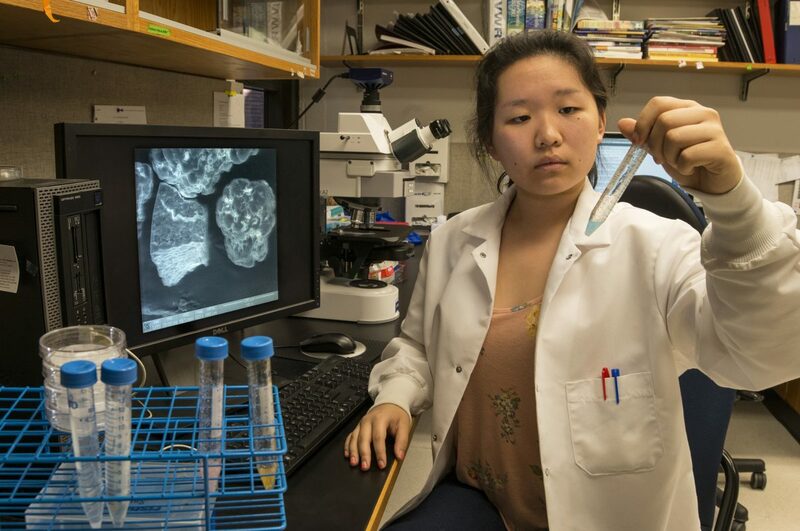 Researcher analyzes plastic microbeads in personal care products. Photo by Lloyd DeGrane. The Alliance for the Great Lakes, Illinois Environmental Council, the Shedd Aquarium and other environmental groups teamed up to raise public awareness and promote state legislation to address the issue. In 2014, Illinois was the first state to pass a ban on microbeads. Other states soon followed. And, responding to public pressure, a number of big companies voluntarily phased out the use of plastic microbeads in their products. In 2015, Congress passed federal legislation to phase out plastic microbeads in personal care products. The national ban on manufacturing these products went into effect on July 1, 2017. And now, the final phase — a national ban on the sale of these products — takes effect July 1, 2018. Different types of microplastics, some measuring less than a millimeter. Photo by United States Geological Survey. Microbeads are one type of microplastic that are deliberately manufactured to be small. Other types of microplastics are fragments or films broken down from larger items. 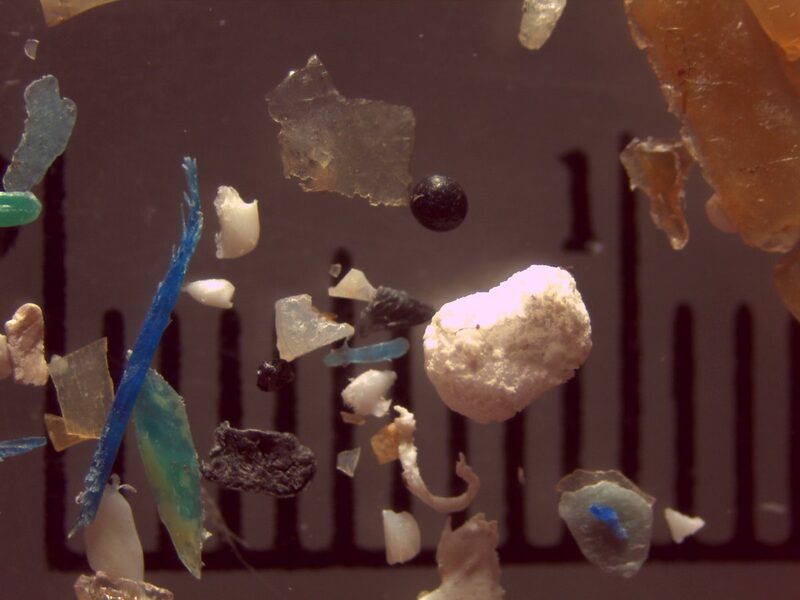 Researchers have found stunningly high amounts of these tiny plastic pieces in all five Great Lakes, which provide drinking water for 40 million people. They’ve found microscopic pieces of plastic in drinking water, and even beer. The good news is that we have the power to change the amount of plastic that ends up in the Great Lakes and the waterways that flow into them. As we learned through the microbead campaign and other Great Lakes victories–when we join together, our impact is great! 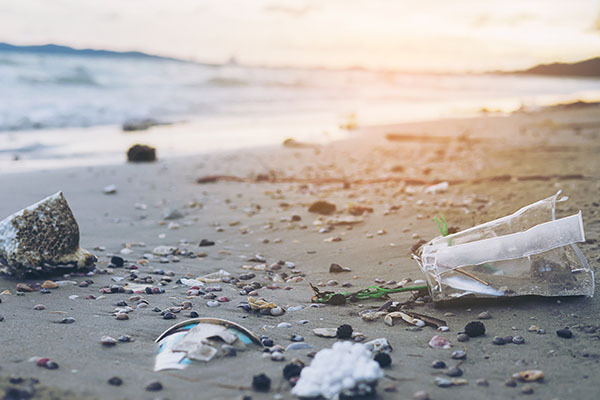 There are many ways we can continue working together to protect the Great Lakes from taking action to reduce our personal use of plastic, to joining a beach cleanup with Adopt-a-Beach, or pushing for change in our communities. We all have the power to reduce the amount of plastic pollution in the Great Lakes. Add your name to the Plastic-Free Great Lakes Pledge now.